A fearless new play about what it means to stand out, stand up and stand alone – this is Joan of Arc. Packed with guts, heart and some well placed ‘packaging’, JOAN fuses lyrical new writing with quick wit and cabaret prowess. Award winning cabaret artist Lucy Jane Parkinson unravels the intricacies of Joan’s defiance, subsequent demise and morphs into the men that put her there. 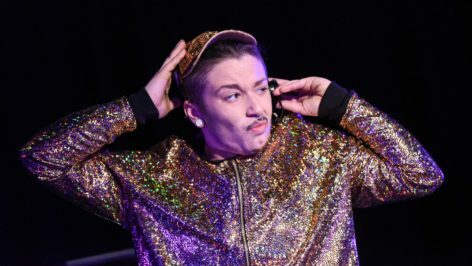 A captivating new solo show about belonging, gender and finding our own identity – with uproarious songs that breathes new life into this centuries-old legend.